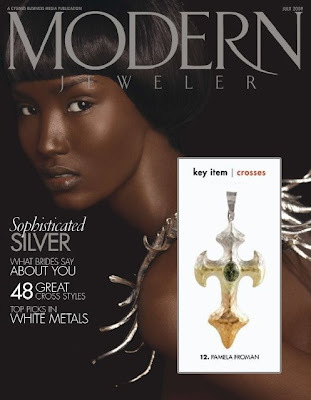 Ombre Gothic Cross featured in Modern Jeweler! 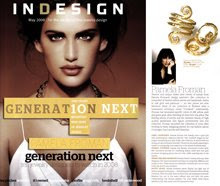 Pamela Froman's gorgeous Gothic Cross pendant from her innovative Ombre Crush Collection was just featured in Modern Jeweler Magazine! Inspired by the pleasing color gradation of ombre-dyed textiles, Pamela has combined multiple colors of gold to achieve a similar look. 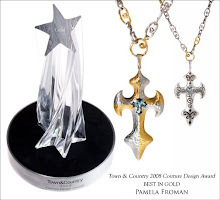 The cool-toned Gothic Cross shown in Modern Jeweler "fades" from 18k White Gold, to 18k Green, then 18k Yellow, finishing in a rich 22k "Crushed" gold. 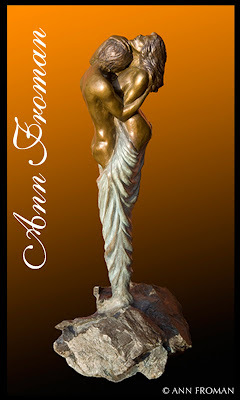 Pamela Froman is "Designer of the Day" on Boticca.com! 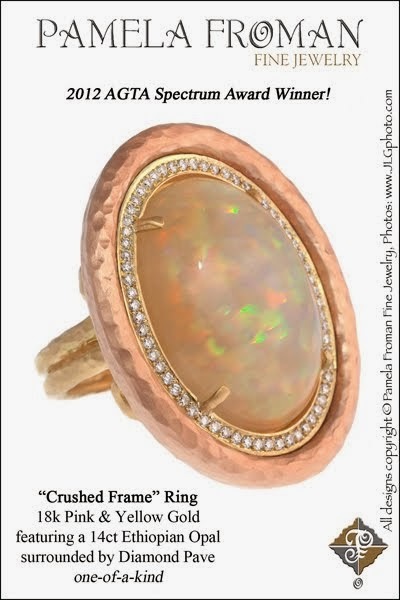 Pamela Froman Fine Jewelry now available at Studio Jewelers! 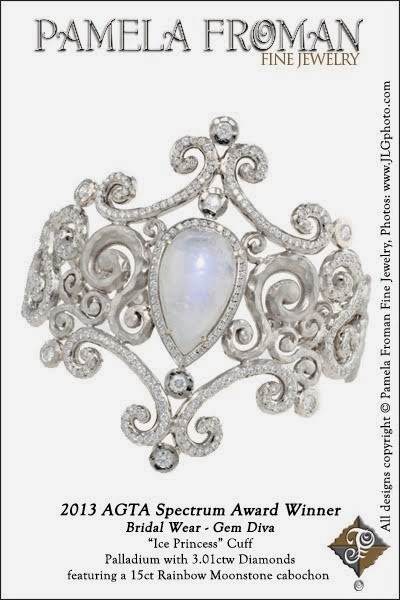 If you live near Madison, Wisconsin, you're in luck, because Studio Jewelers is now carrying Pamela Froman Fine Jewelry! 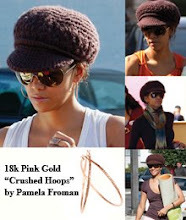 The store's owner, Hanna Cook-Wallace discovered Pamela's unique line at the recent Couture Show, and just had to have it. 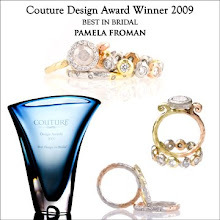 She also joined us at the Couture Design Awards gala event and saw Pamela win Best in Bridal! 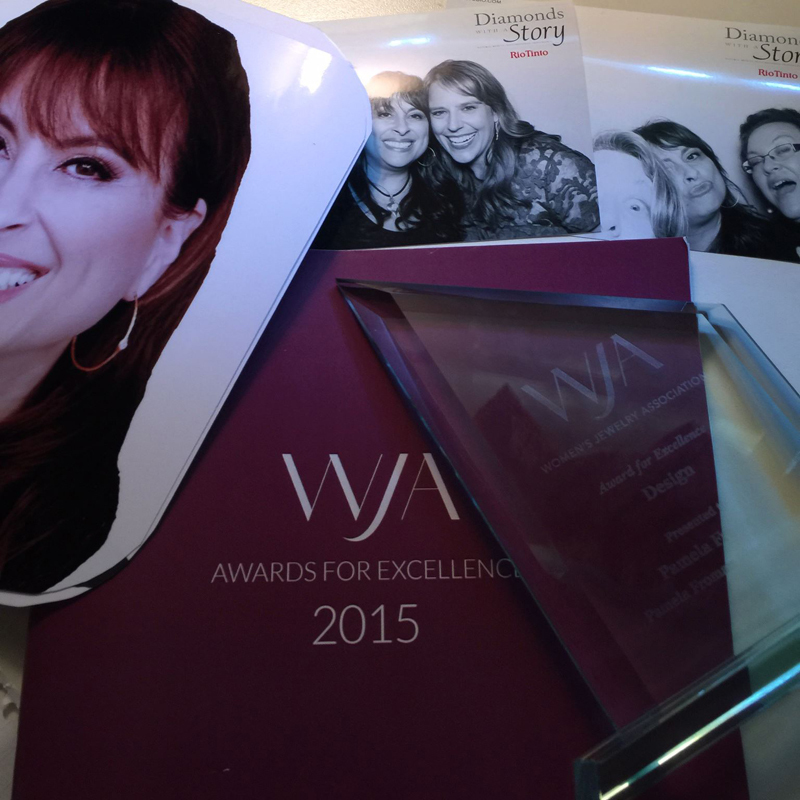 That was a very special moment, and we were so happy she could share that with us. 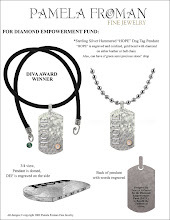 We are so excited to be working with Hanna and the rest of the Studio Jewelers family! 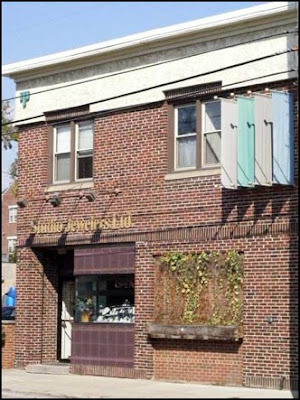 A combination old-fashioned guild shop and designer jewelry gallery, Studio Jewelers is a very unusual store. 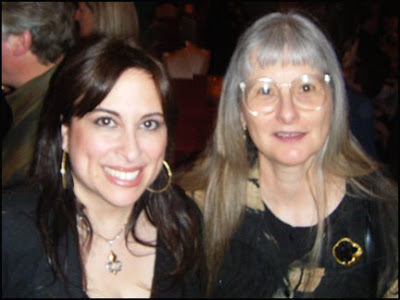 Owner Hanna Cook-Wallace wears many hats: she is a jewelry designer, goldsmith and gemologist, and she brings a wealth of knowledge and experience to every aspect of Studio Jewelers. 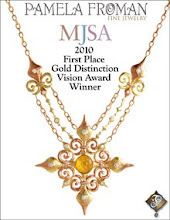 Her commitment to quality, education and personalized service has earned Studio Jewelers its outstanding reputation both in her community and in her industry at large. 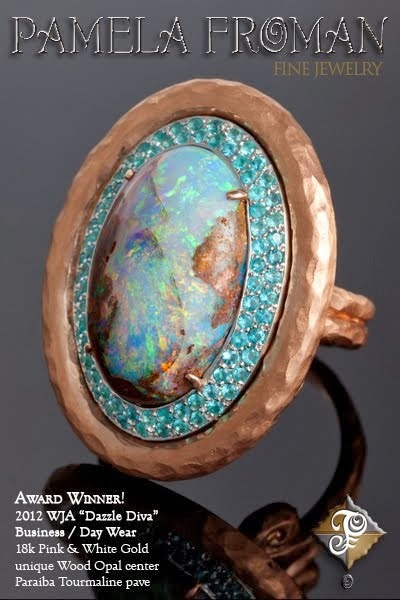 In addition to featuring her own work, Hanna represents a number of top American and European jewelry designers and metal artists, including a number of local artists.